For one jacket that's appropriate for almost any cold-weather occasion, opt for the Bogner Fire + Ice Sally3-D Jacket from luxury brand Fire and Ice. This ski jacket has a construction of luxury ripstop fabric, so in addition to having a light and soft feel, it's extremely resistant to wear and rips. This jacket features a snap-away powder skirt as well as knit cuffs, so it's designed to keep snow on the hill and out of your layers. The Sally3-D Jacket's dual 5k waterproofing/breathability ratings make this idea for spring wear and sunny days. "Hi Is this true to size ? " "Bogner generally runs small. It is recommended to size up. Hope this information helps!" "Does this jacket come with the fur?" "The Bogner Fire + Ice Sally3-D Ski Jacket comes with a removable raccoon fur trim. There are also different color Newfur Real Fur Hood Trim that are available to purchase. Hope this information helps!" Loved it!! Haven't tried it on the mountain, but I loved the fit and the feel! 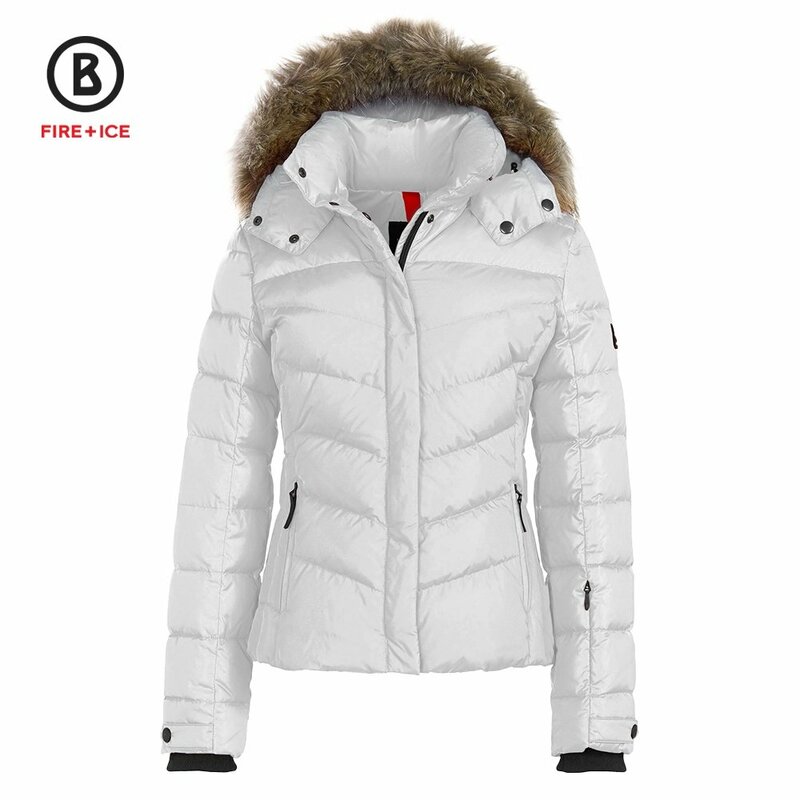 I ordered this jacket in white as well at the Bogner Fire + Ice Lela jacket in black. I ended up returning this jacket and kept the Lela jacket because I decided that the black jacket would be better for me. But, I wanted to give this a good review because it is a beautiful white jacket, and truly was a difficult decision. This jacket is a little more relaxed in the fit so the size 6 fit well but had to do an 8 in the Lela because a more fitted jacket. Also, this has snaps to close the front in addition the zipper.